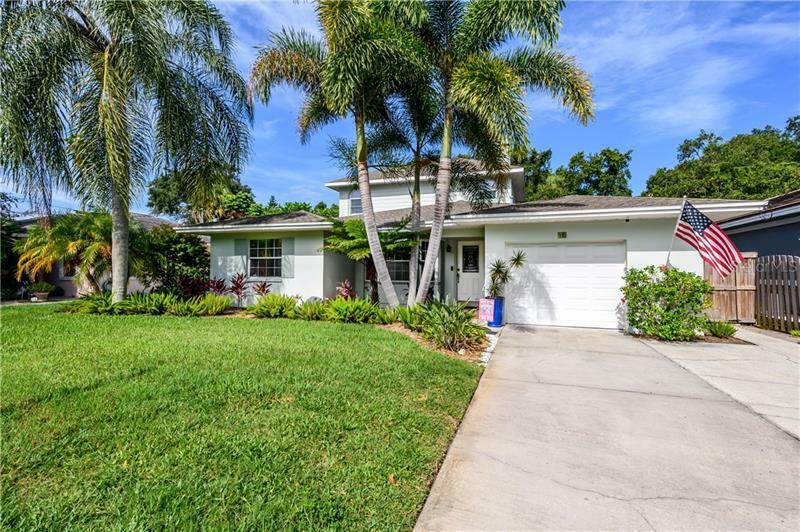 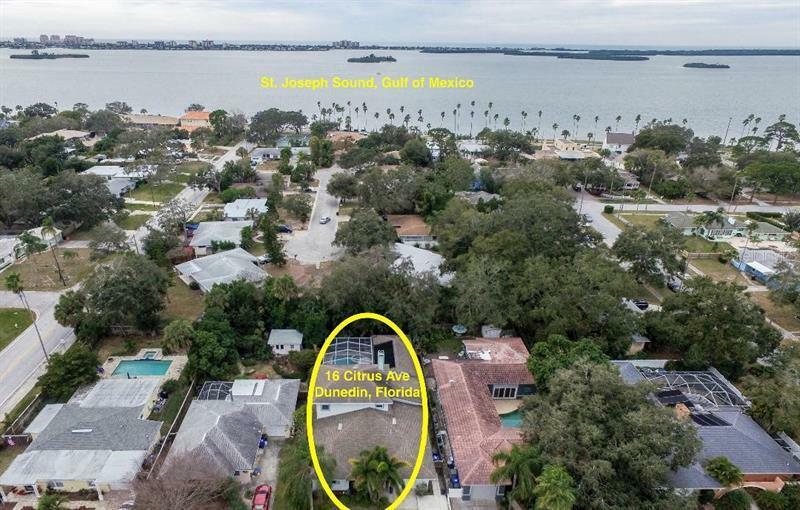 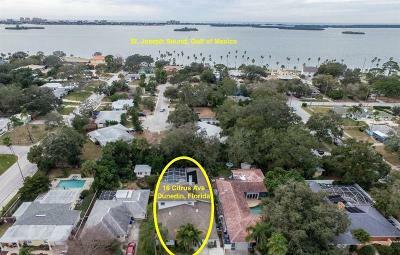 Unique 4 bedroom Dunedin home is a few steps away from the Pinellas Trail & Intercoastal Waterway for outstanding biking, pet strolls & walks-or a short golf cart ride to downtown Dunedin shops, restaurants, pubs, festivals, & spring training games. 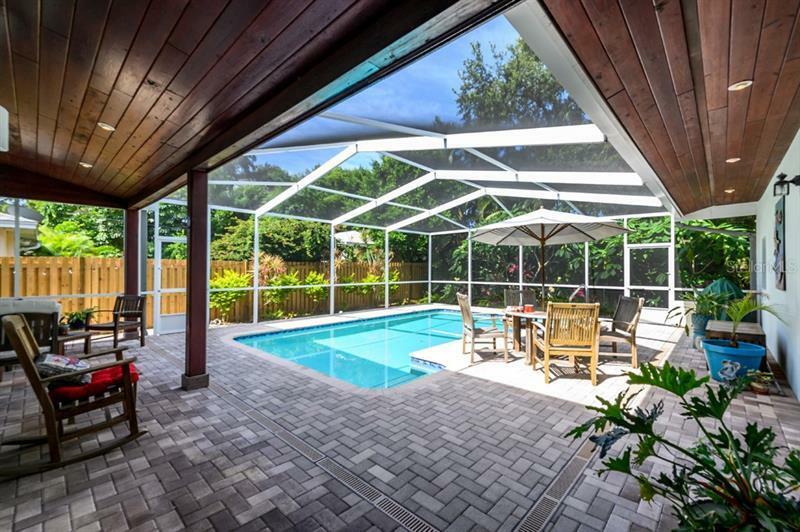 An open floor plan stretches from front door to pool deck so turn on your favorite jams & tune into a delightful Dunedin lifestyle. 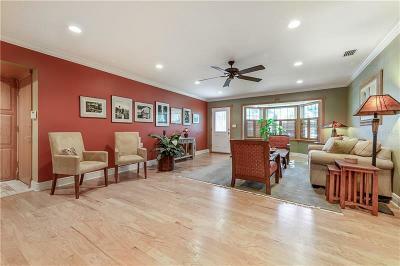 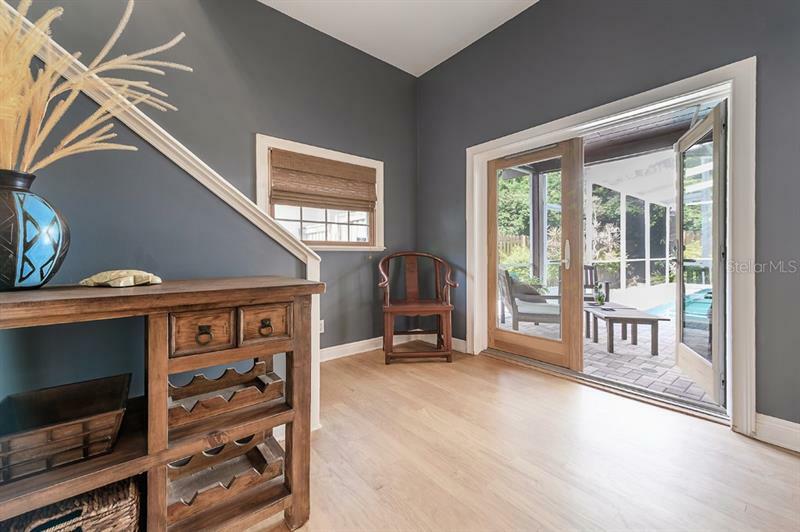 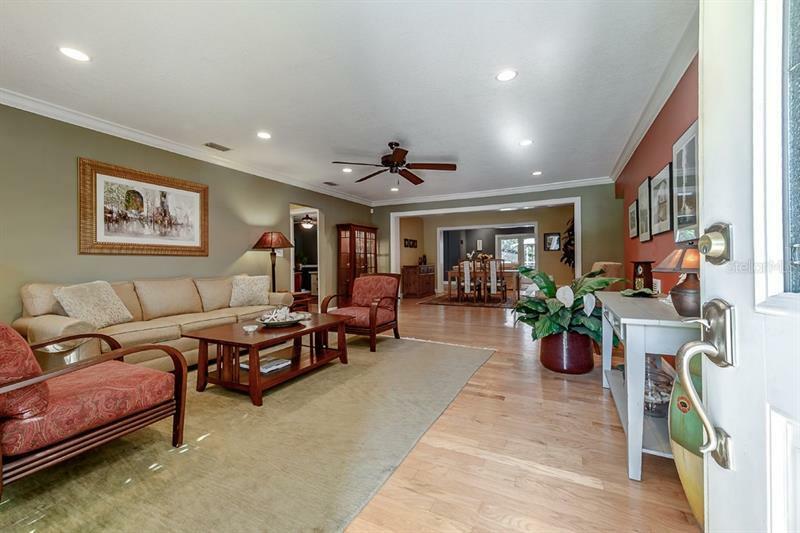 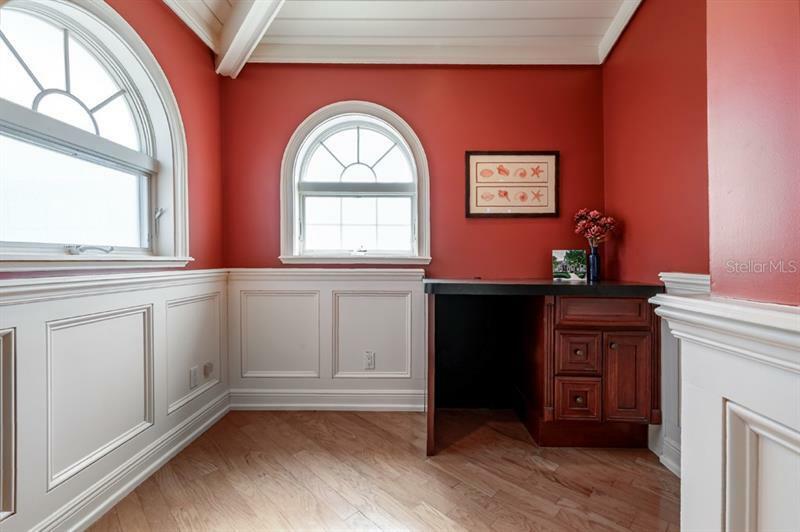 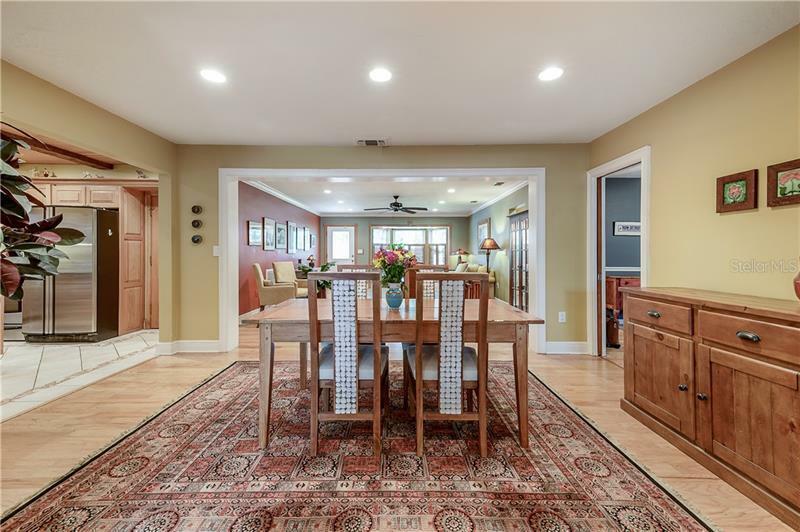 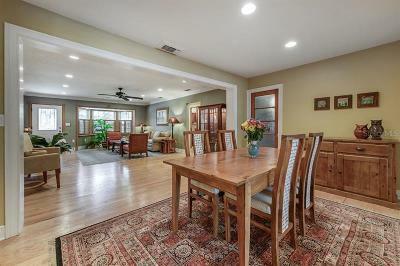 This home is perfect layout for family gatherings, large parties or quietly relax in one of many tranquil sitting areas in & around the home. 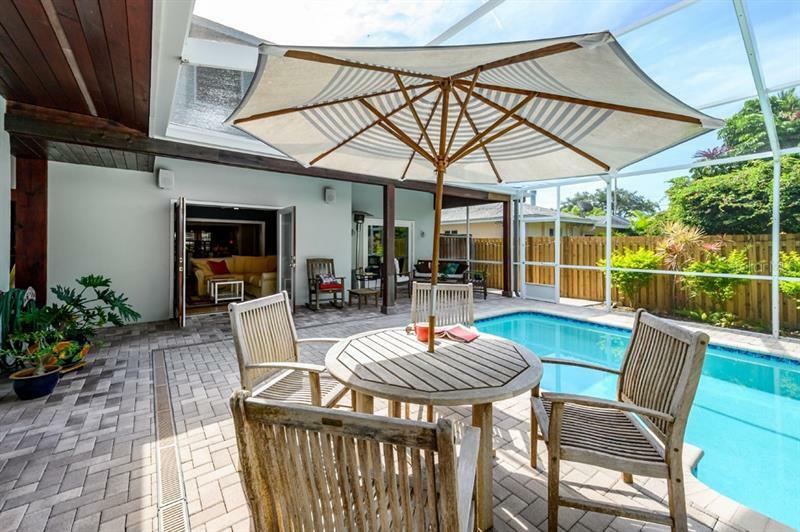 The entire deck & pool area is screened & surrounded by a lush tropical garden with solar heated pool and gas heated waterfall spa. 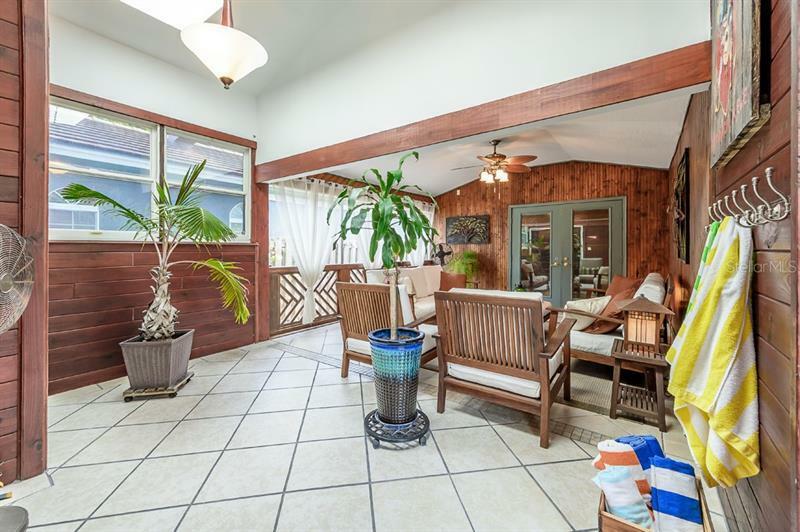 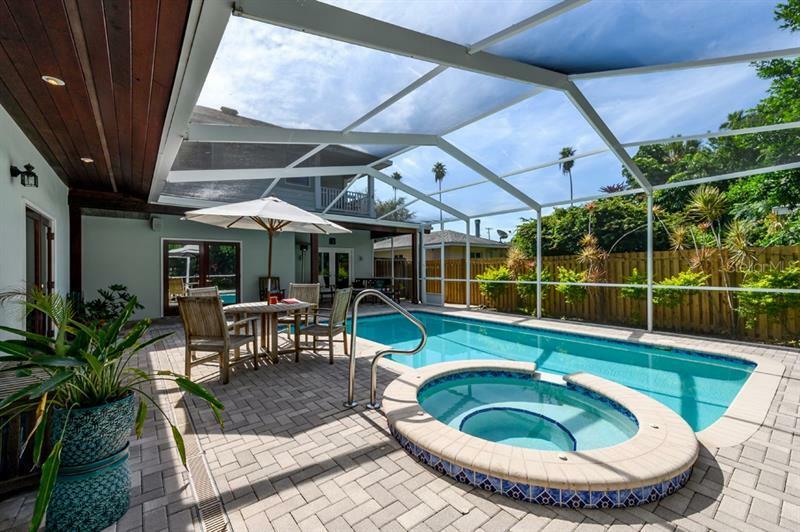 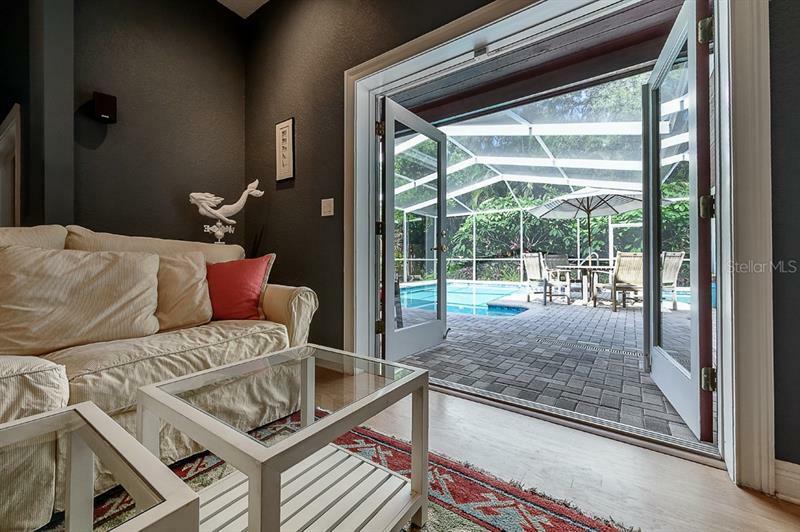 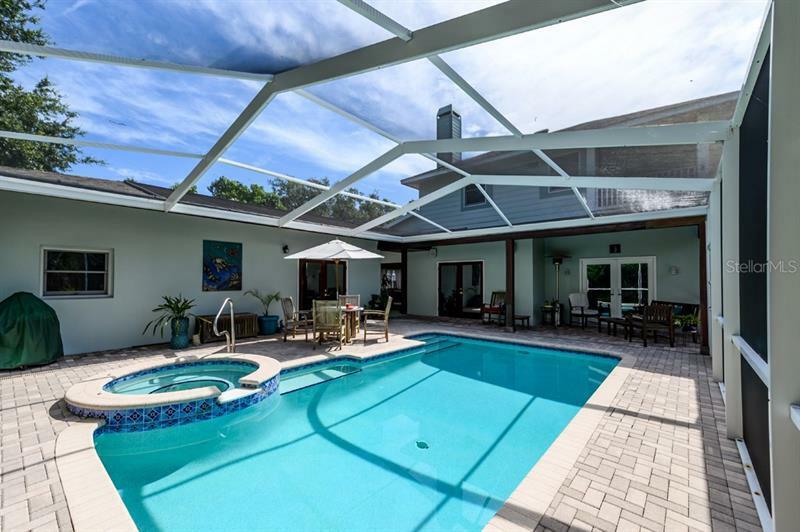 Three sets of French doors open from main house to inviting pool area or a stunning Florida room with warm wood accents, allowing the sounds of nature to pour in to every corner. 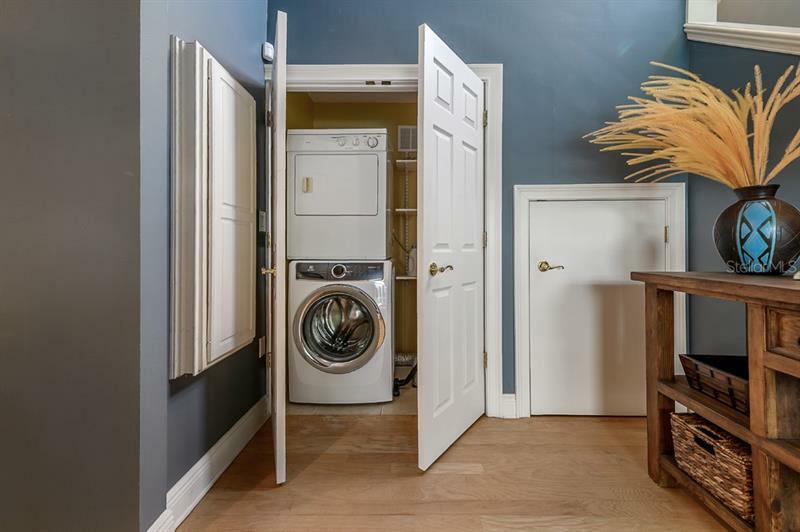 The roomy in-law suite has separate entrances, full bath + kitchenette & ideal as guest suite, home office, artist studio, or whatever your lifestyle desires. 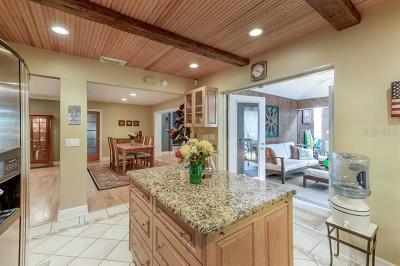 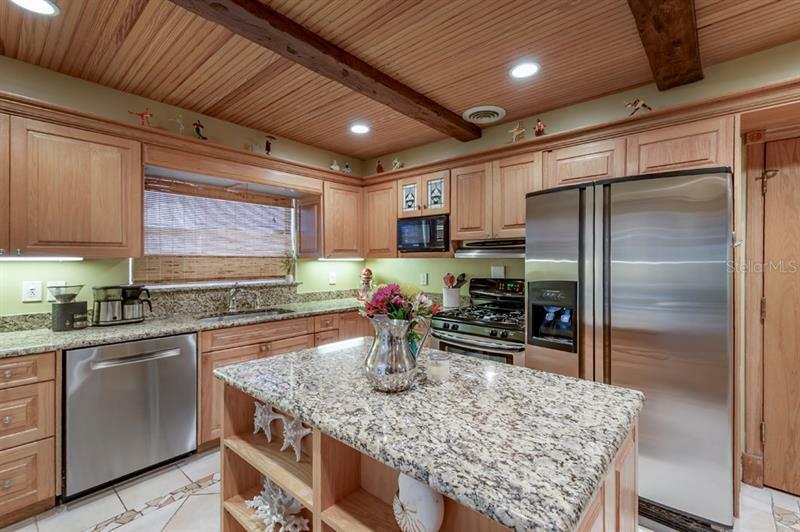 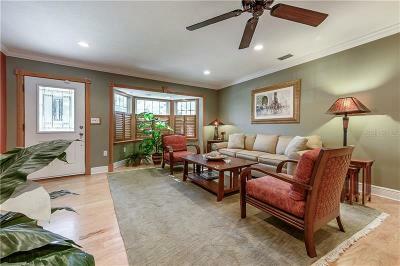 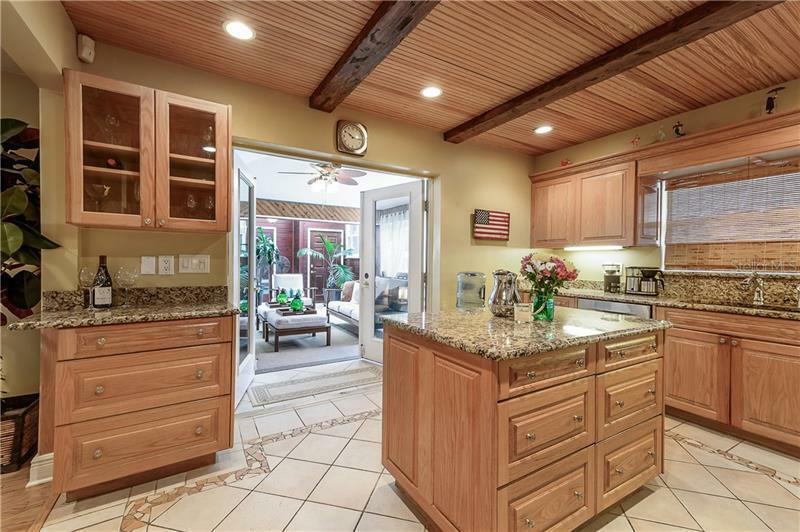 Home chefs will love kitchen equipped with gas range, solid surface counters, rich wood accents. 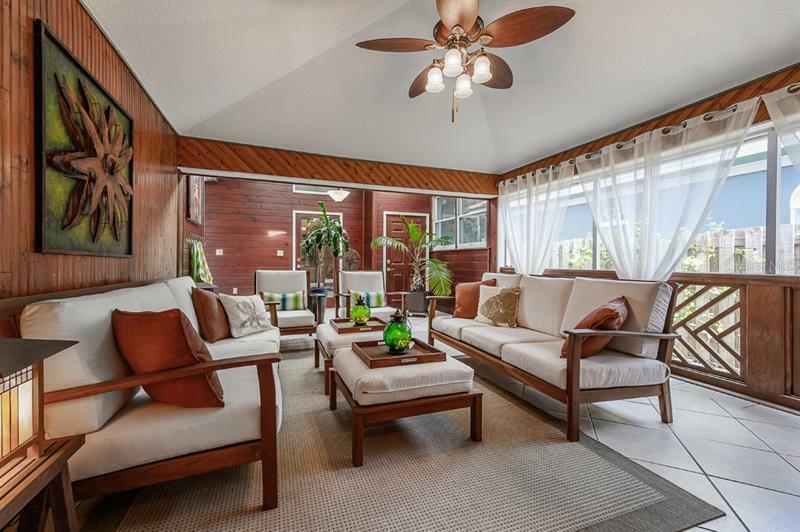 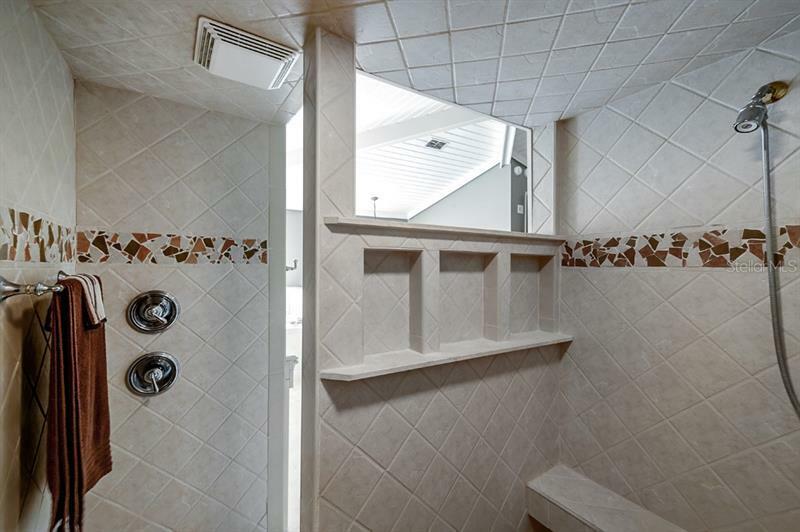 Loft style owner’s bedroom on 2nd floor is a peaceful retreat with vaulted ceiling, double sink vanity, tub, walk in shower, walk in closet & private balcony to appreciate those first-rate sunsets only Florida can offer. 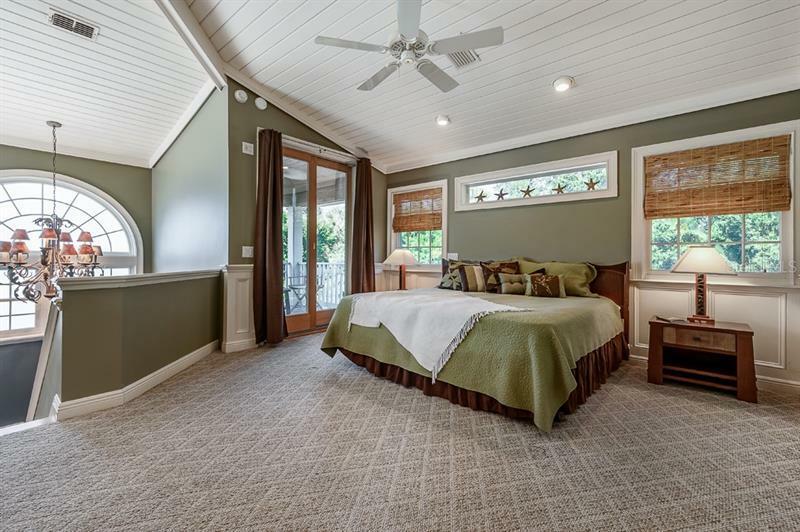 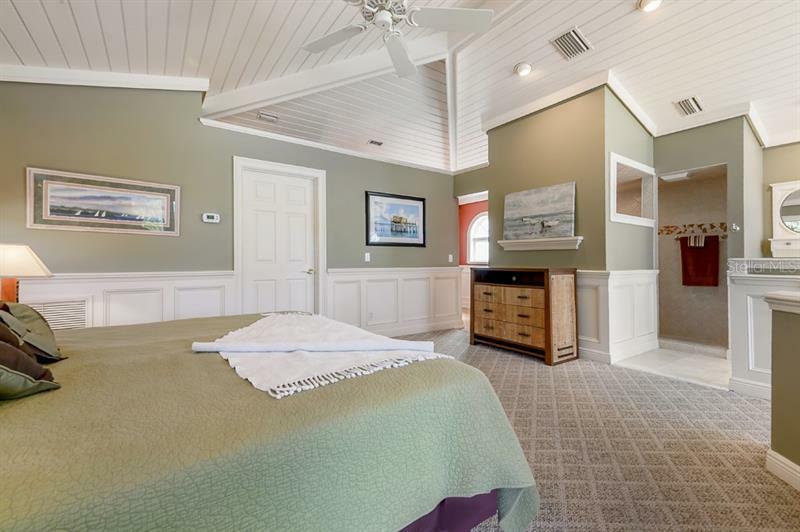 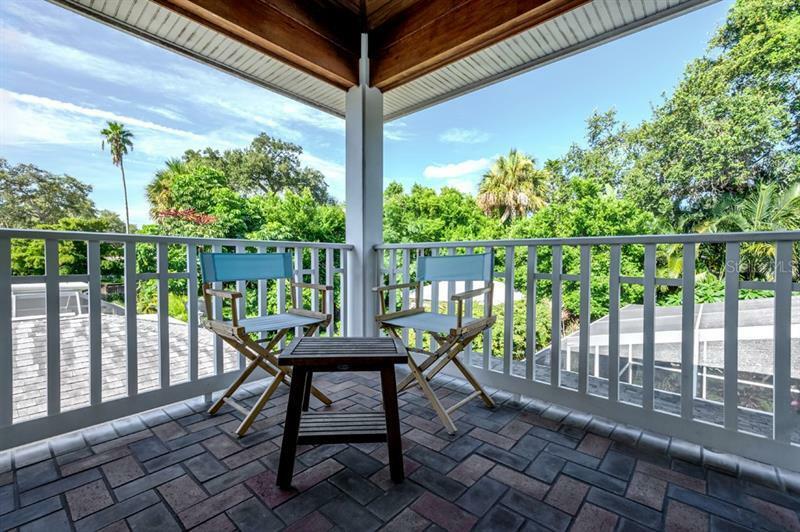 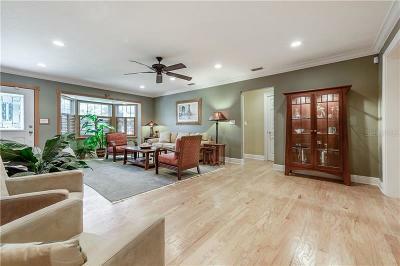 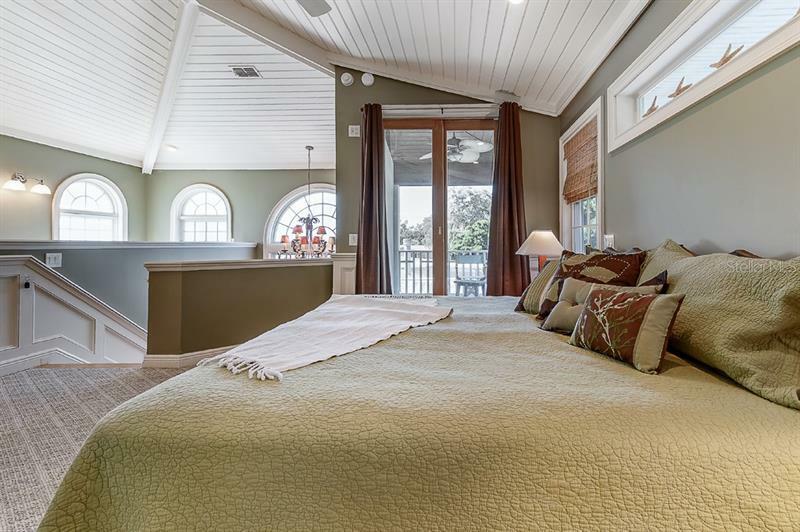 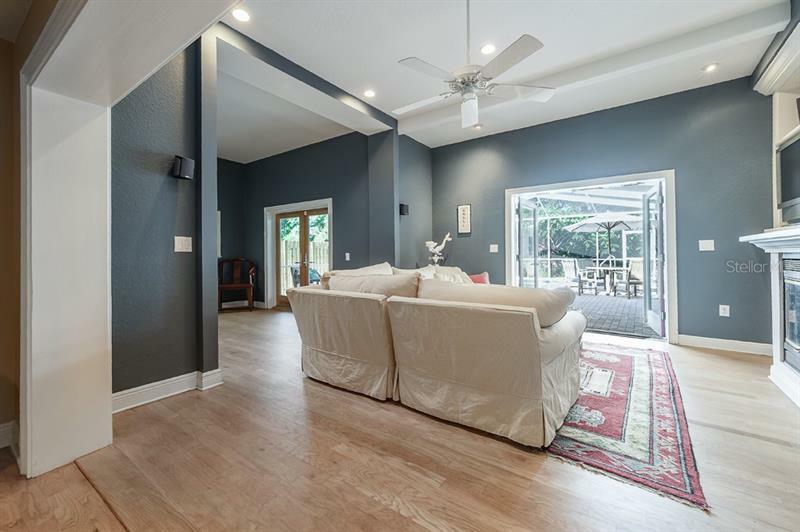 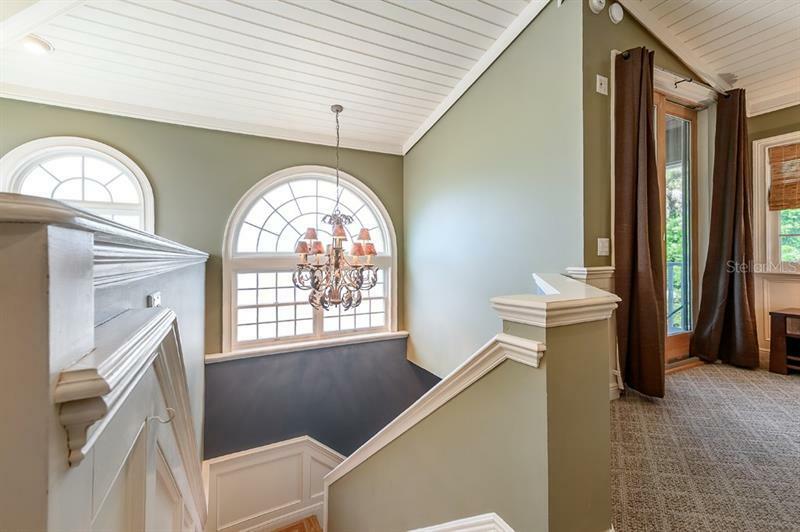 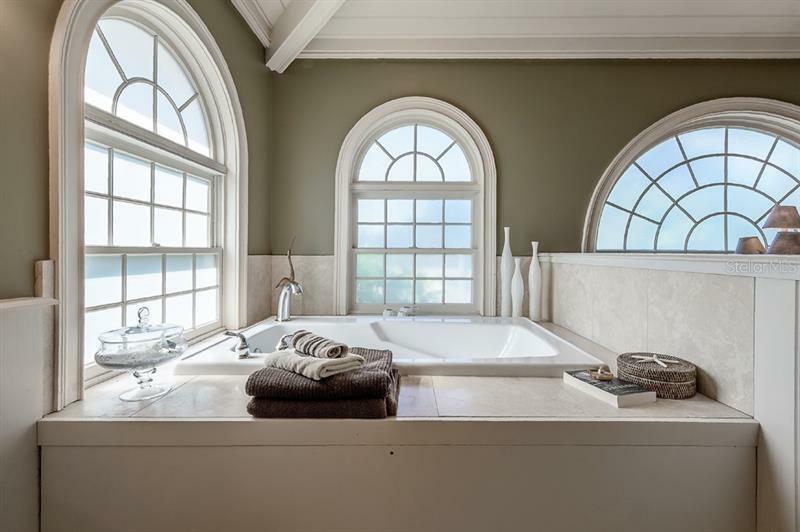 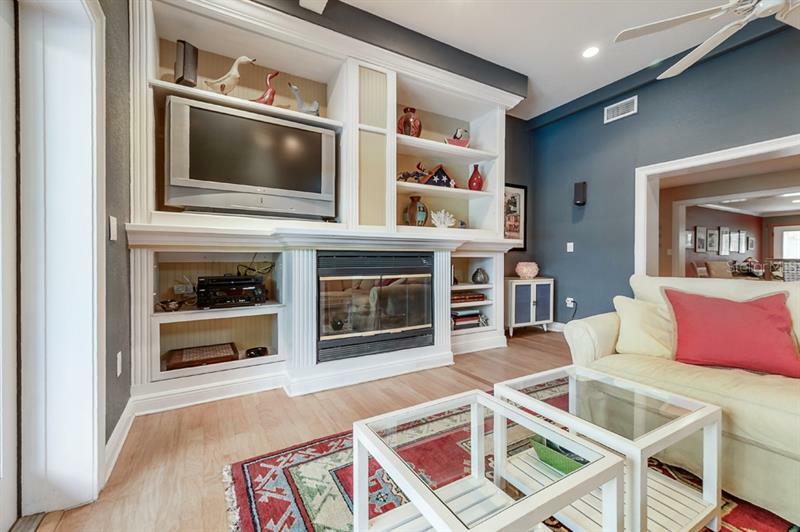 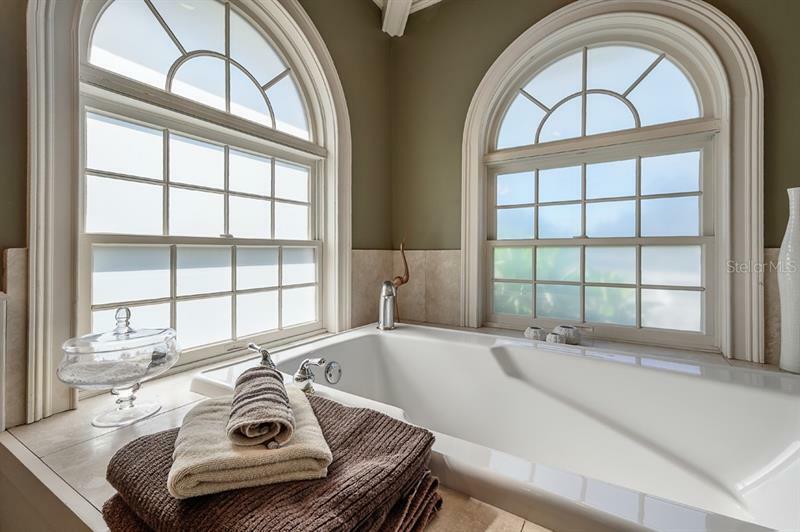 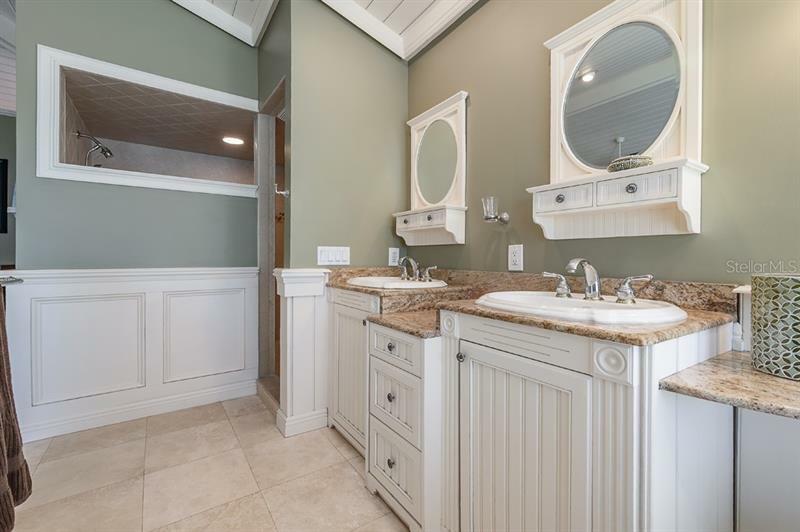 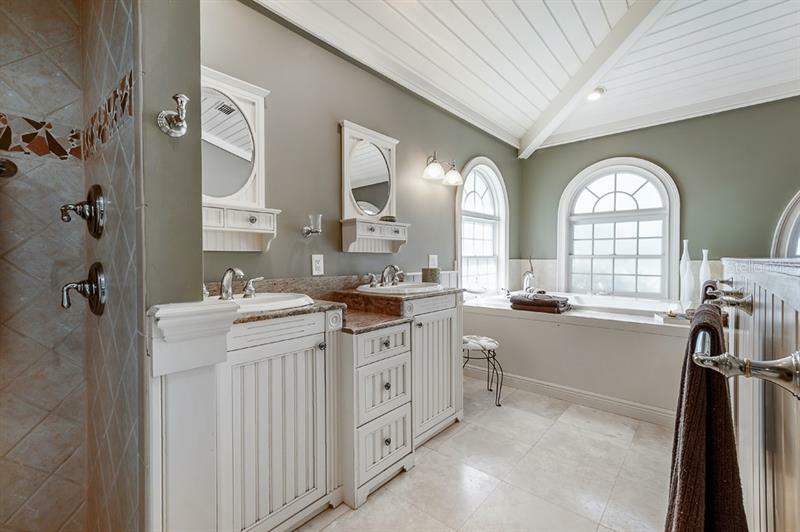 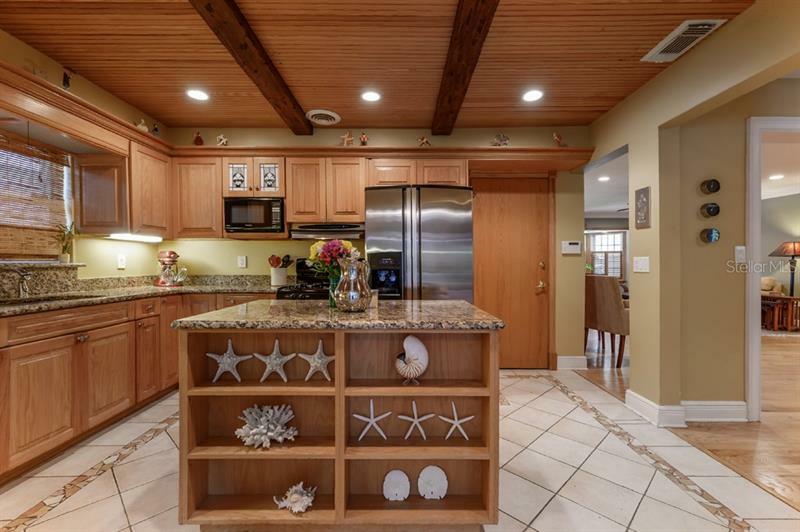 This home has many exquisite features including intricate wood accents and pulley system installed to store FL toys including kayaks & paddle boards. 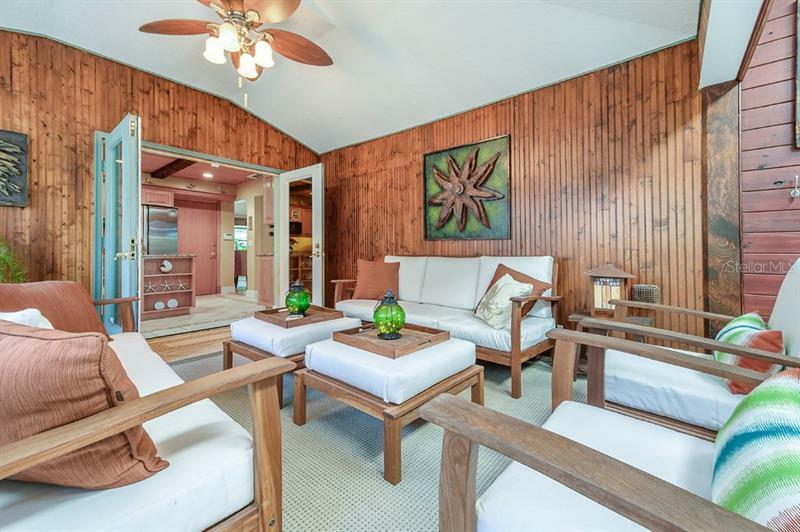 So, put on your flip flops & relax in your own private paradise!